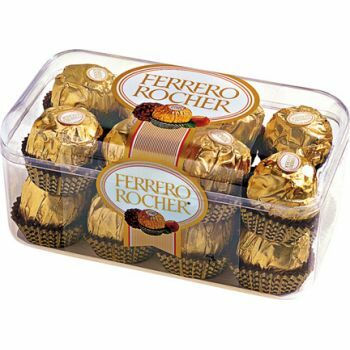 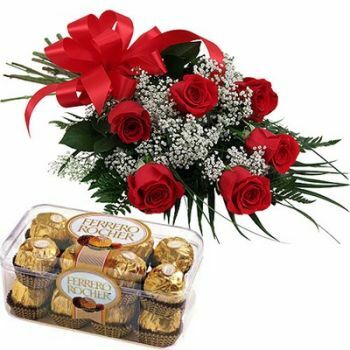 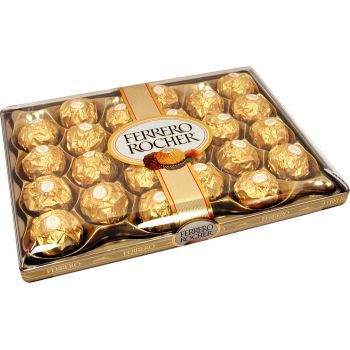 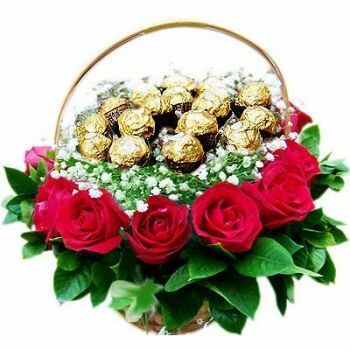 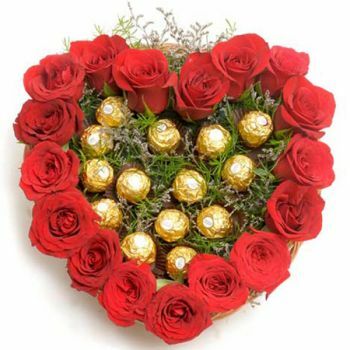 Red Roses, white filler flowers and greenery, with Ferrero Rocher chocolates in a basket tied with a red and white ribbon. 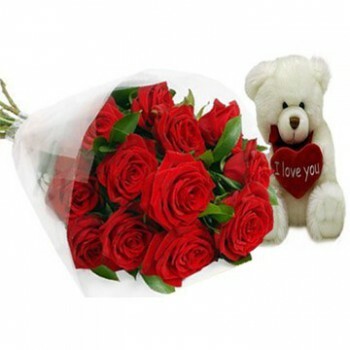 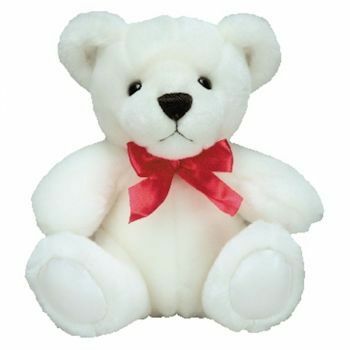 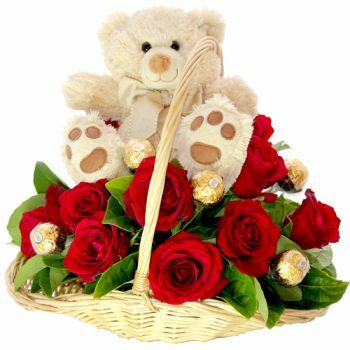 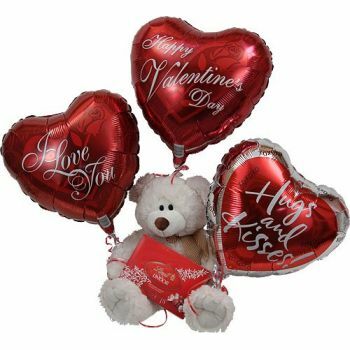 10 Red Roses with Teddy Bear. 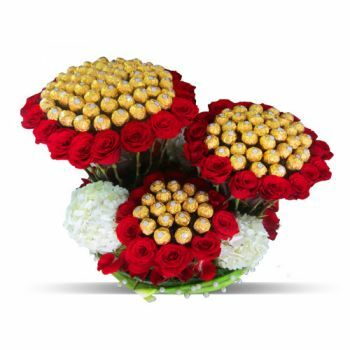 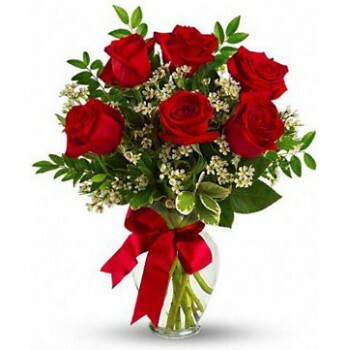 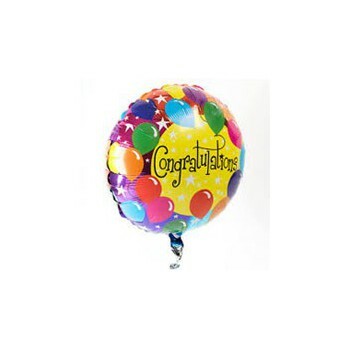 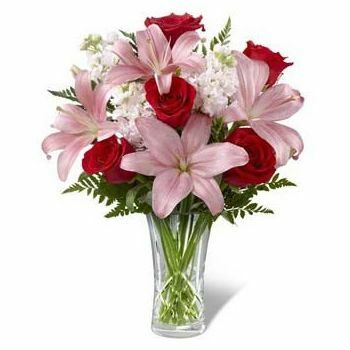 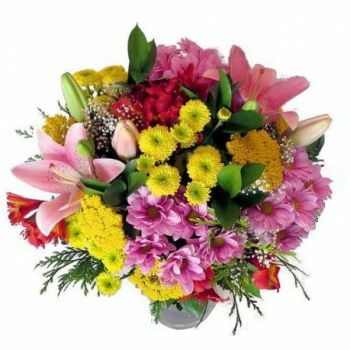 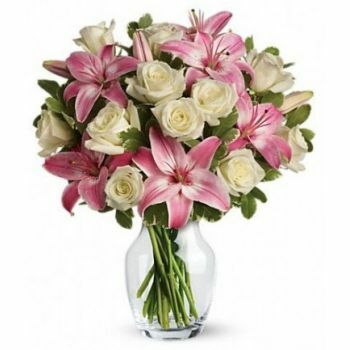 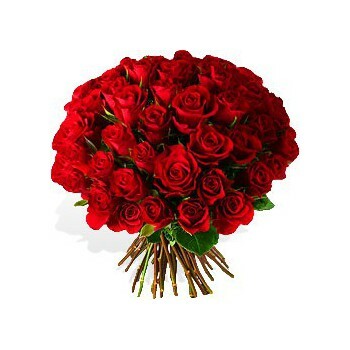 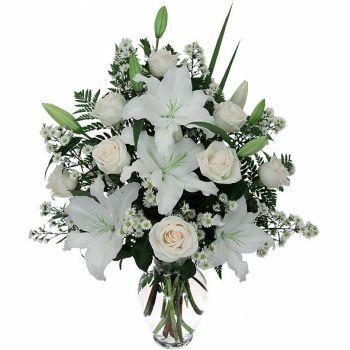 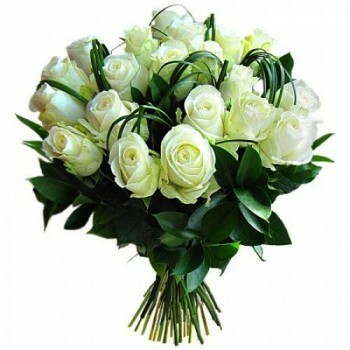 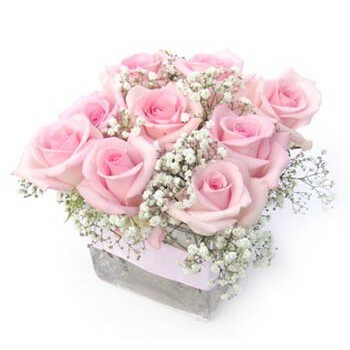 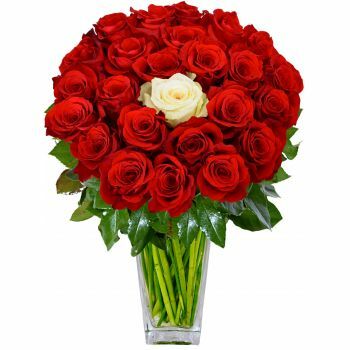 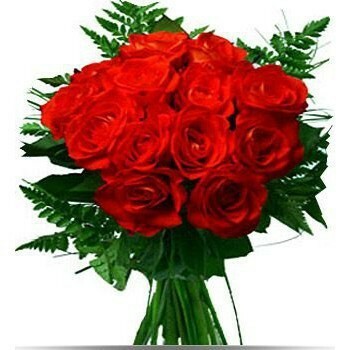 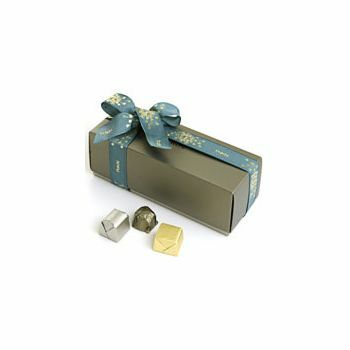 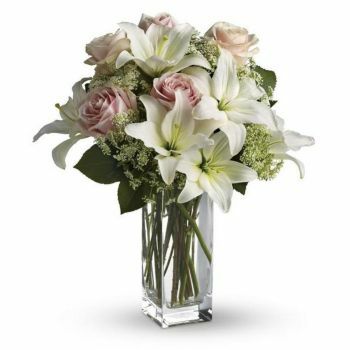 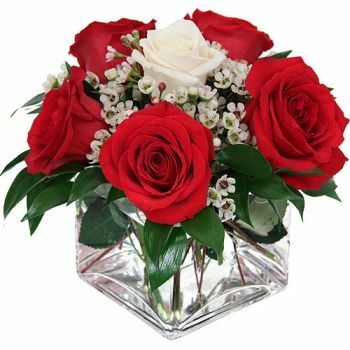 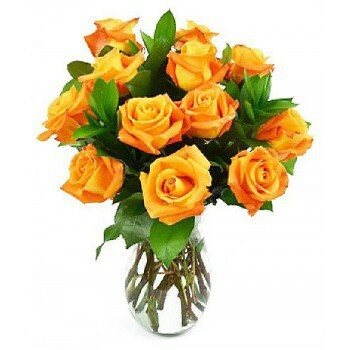 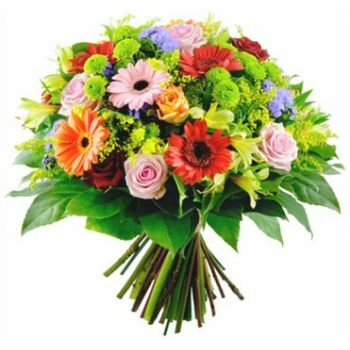 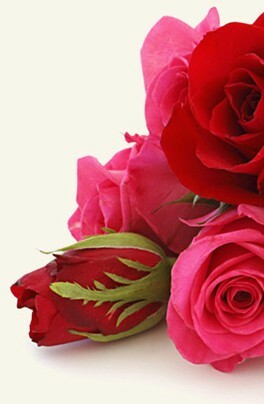 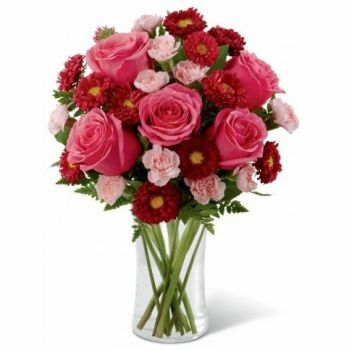 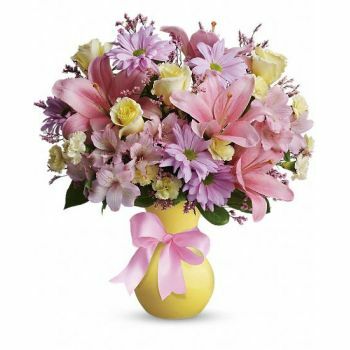 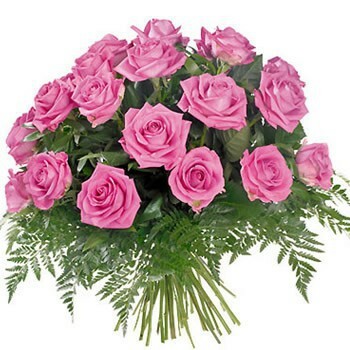 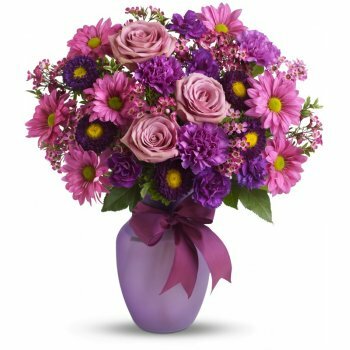 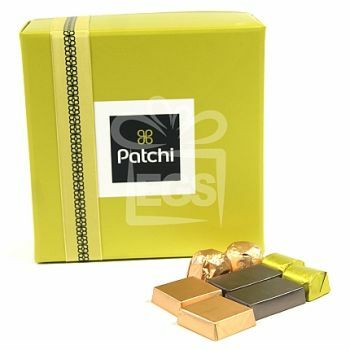 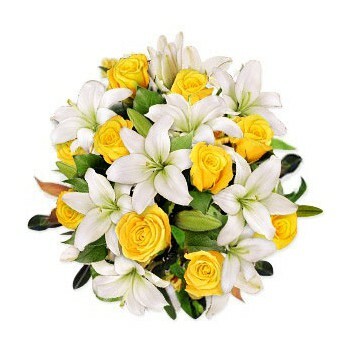 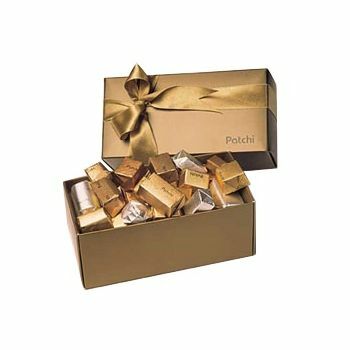 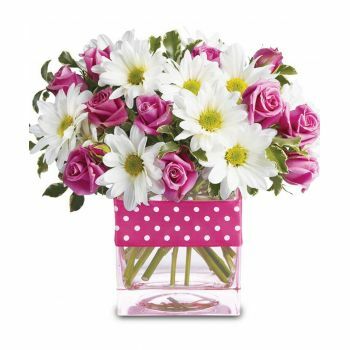 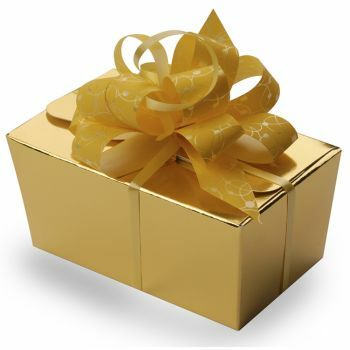 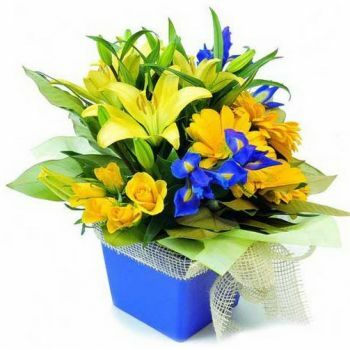 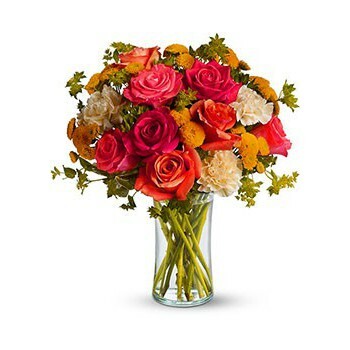 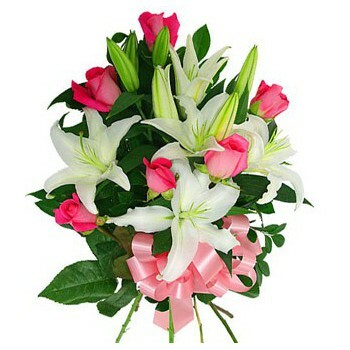 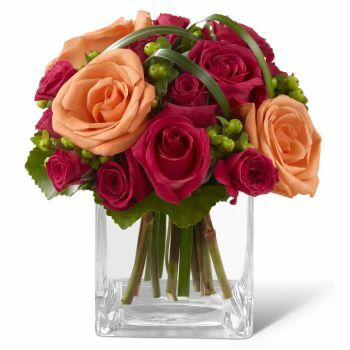 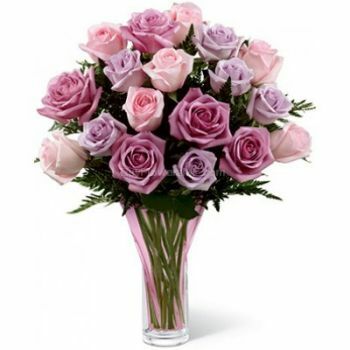 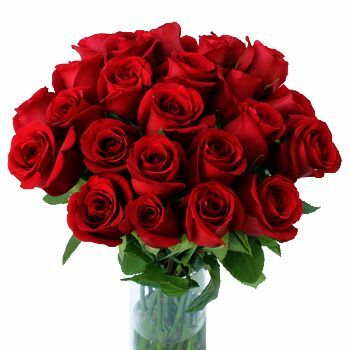 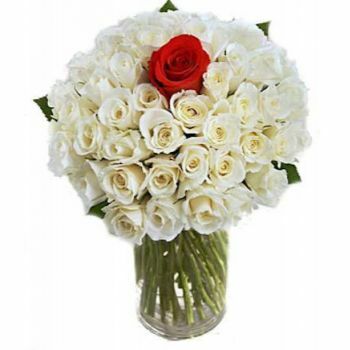 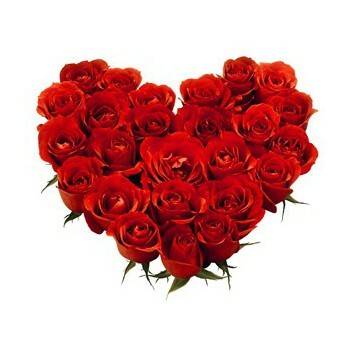 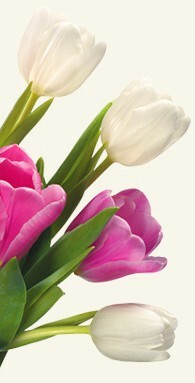 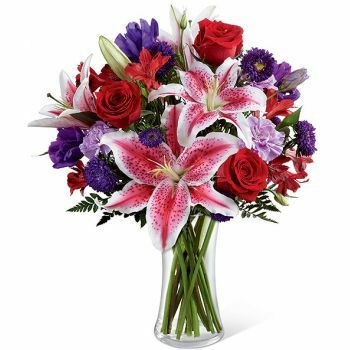 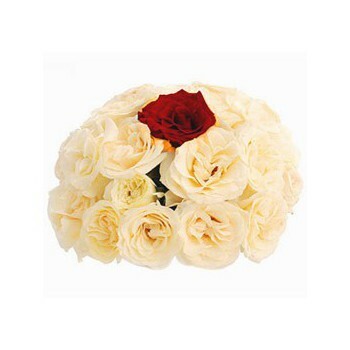 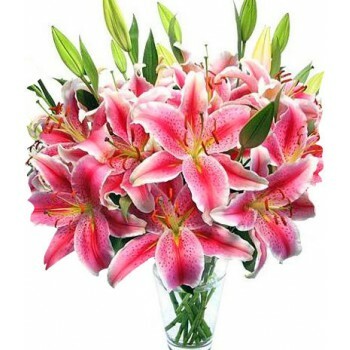 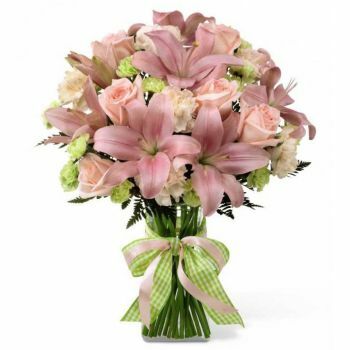 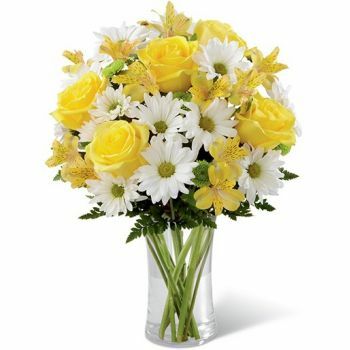 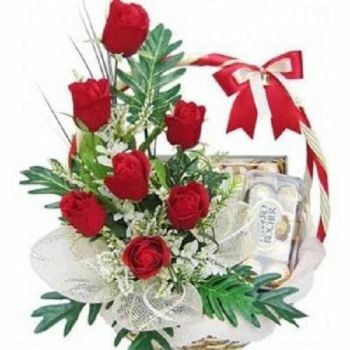 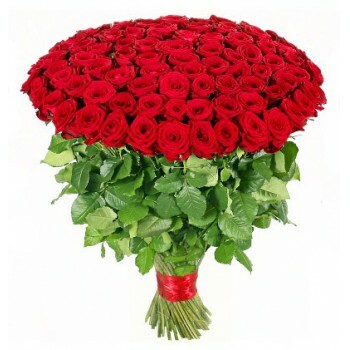 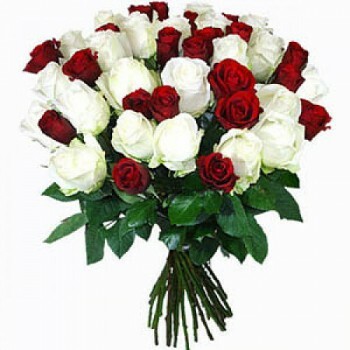 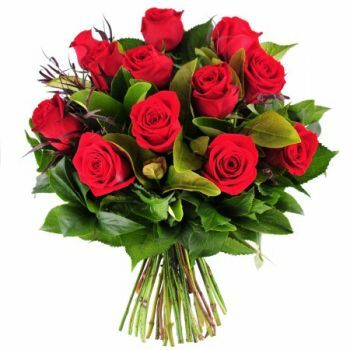 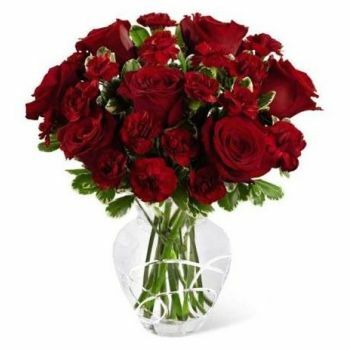 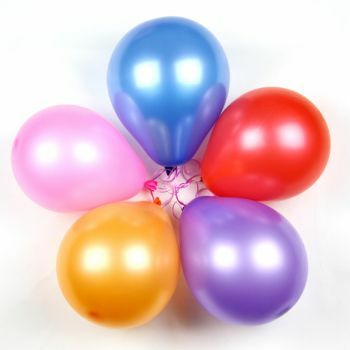 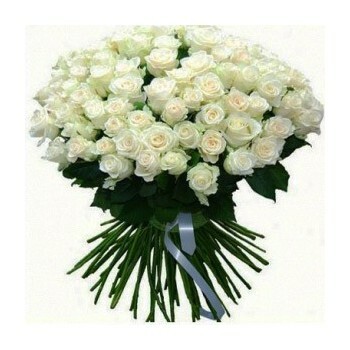 Flowers for Abu Dhabi uses the most modern technologies to secure your order.